Since this February, The Contribution have been living up to their name and giving back with each song. They have been releasing one single a month, as sort of a mid-month pick-me-up since February 2017 and have partnered with a variety of nonprofits to which 100% of the profits from each single (sold as a digital download) will go to a charity (hand-picked by members of the band) in perpetuity. They release their newest single “Dream Out In The Rain” on Friday, June 16 and it will benefit The Delaware Riverkeeper Network. This is a song about having the courage to dream and believing in yourself, with the lyrics “Don’t wait to start… Today’s the new tomorrow… Open your heart… And your story will follow.” Listen to the Exclusive Stream Premiere of “Dream Out In The Rain” at NJArts.net. Tim Carbone tells Shows I Go To about how the nonprofits were selected, “I put it to the band at large and asked them, ‘What do you feel strongly about?’” The Delaware Riverkeeper Network is located nearby where Carbone is from and they do wonderful work in protecting the waterways, including the drinking water of nearly 17 Million people, throughout the entire Delaware River Watershed which includes Pennsylvania, New Jersey, Delaware, and New York. Tim says, “I wrote the words to ‘This Too Shall Pass’ for our guitar player Jeff after his mother passed away from breast cancer.” He says they did some searching and found BCEF, a Breast Cancer Emergency Fund in SF Bay area, to pair up with that song. LoHi Records labelmate, Jim Brooks, suggested Piedmont Land Conservatory as he has held events to raise money for them in the past to preserve natural and scenic lands, farms, and open spaces in Piedmont North Carolina. All songs were written and produced by Tim Carbone, Phil Ferlino, and Jeff Miller. “Dream Out In The Rain” features Carbone, Miller, Ferlino with Sheryl Renee on background vocals, Keith Moseley on bass, and Matt Butler on drums. They also have a handful of special guests including Jay Rattman on saxophones and horn arrangement, Rick Chamberlain on trombone, Sean McAnally on trumpet. The song was recorded at Silo Sound Studio in Denver, CO and Engineered by Todd Divel. Additional recording by Don Sternaker at Mix-o-Lydian Studios, Delaware Water Gap, PA.
in Colorado and the Midwest! 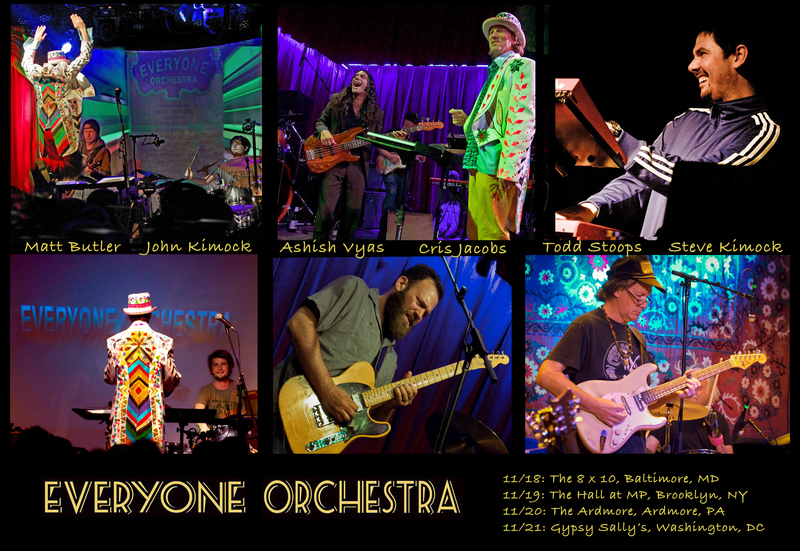 Everyone Orchestra is happy to announce the addition of a handful of winter shows after they return from Jam Cruise. They will play in Beaver Creek, Colorado at Vilar performing Arts Center on Thursday, January 14th and then head over to Denver for a two night stand at Cervantes for the venue’s 14th Year Anniversary Party on January 15-16th. Early March has EO returning to the midwest with shows at The Ark in Ann Arbor (3/2), Bell’s Brewery in Kalamazoo (3/3), 1st Ward at the Chop Shop in Chicago (3/4), the Majestic Theatre in Madison (3/5), and The Cabooze in Minneapolis (3/6). Stay tuned for artist announcements for the Winter shows! EO is also is excited about their two night run at The Barkley Ballroom in Frisco, Co on Fri-Sat, December 18-19, 2015 to help the venue celebrate its 3rd Anniversary and have announced the additions of Eddie Roberts (The New Mastersounds – guitar) for both nights, Chuck Morris (Lotus – percussion) and Amanda Renee for Friday, as well as Scott Stoughton (Bonfire Dub) on Saturday. Conducted by Matt Butler, and already set to perform at the Barkley are Al Schnier (moe. – guitar, vacals), Jason Hann (String Cheese Incident – percussion/drums), Bridget Law (Elephant Revival – fiddle), Jay Starling (Love Canon – dobro), Sage Cook (we dream dawn – guitar, vocals), Adrian Engfer (The Grant Farm – bass). The Grant Farm opens the show! 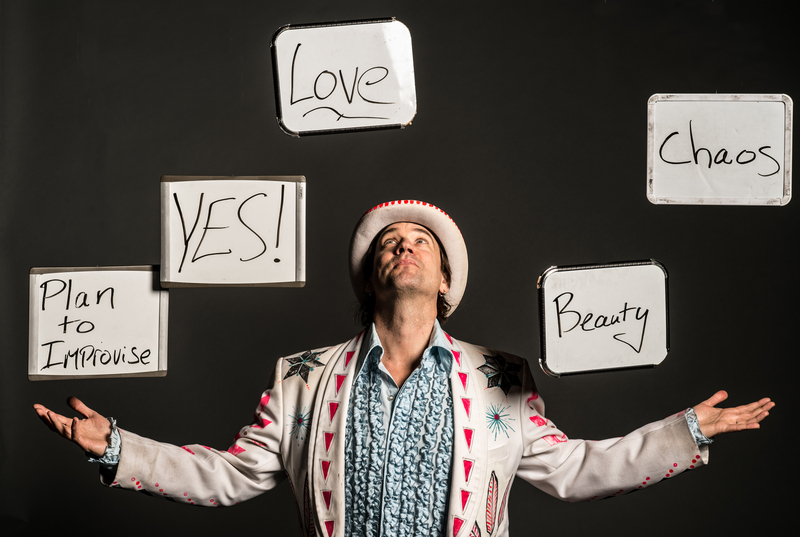 12/18-19 Fri-Sat – The Barkley Ballroom – Frisco, CO ^!
! NEWLY ADDED are: Eddie Roberts (The New Mastersounds – guitar) for both nights, Chuck Morris (Lotus – percussion) and Amanda Renee for Friday only, as well as Scott Stoughton (Bonfire Dub) for Saturday only! * Conducted by Matt Butler; artists tba!